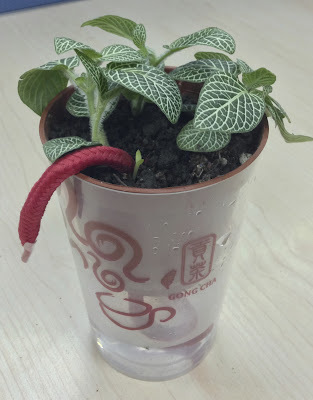 After finished "DIY Self-Watering plants Pots 2nd Generation" (2nd Gen.), I found it still has some defects. 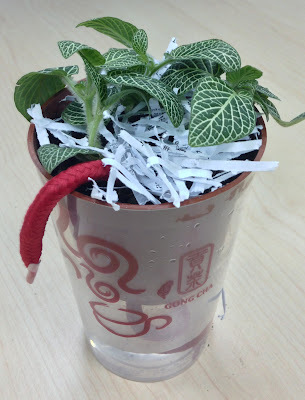 So I improve it to "Self-Watering plants Pots 3rd Generation" (3rd Gen.). Although I embellish the outwards and reduce the steps in 2nd Gen., but I found I still needed to more embellish and reduce steps, if I would like to popularize it to white-collar workers. There are 5 major steps in 2nd Gen., cut bottle, cut bottle cap, cut nylon net, screw nylon net by bottle cap, and thread the nylon string through the nylon net of cap. 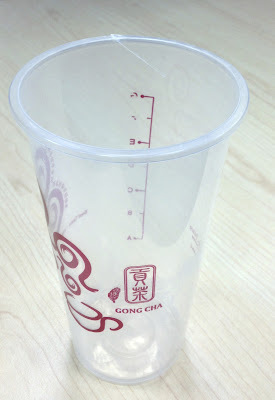 It reduce a step from 1st Gen., but it still has a hard work, cut bottle cap by a sharp blade. And I have to operate carefully to avoid hurt myself. It will be a stumbling block for popularizing. 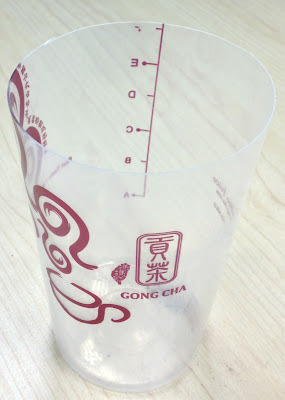 Besides, after some people buy 2-inch pots and transplant plants to another container, they will discard these 2-inch pots. This does not comply with the principle of Permaculture "Produce no waste". Consider of these requests, I design the 3rd Gen. by the principle of Permaculture "Use and value renewable resources and services". I will continue to produce 2nd Gen. for the family, relatives and friends. But if I would like to popularize to another, I will still use 3rd Gen.. Prepare a PVC or PE can, and warsh it. Prepare a 2-inch pot, and transplant plants to another container. Tthread the nylon string through the hole in the bottle of pot. Put the pot in the can, and cut the can in half. So that the pot can be smoothly placed on the can. Potting soil and seeds. The end of string should be exposed on earthen. Putting pot on the can. 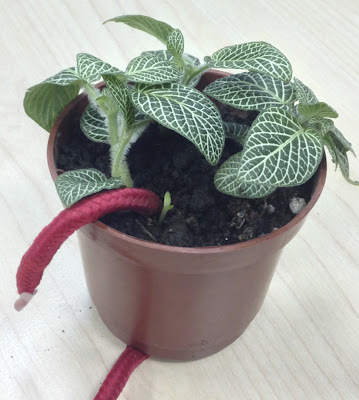 Water the soil from the pot the first time until extra water left into the can in order to make sure that it is uniformly wet and that the string also is wet. Next time, you can just lift off the pot to add water to the can instead of pouring it over the soil. 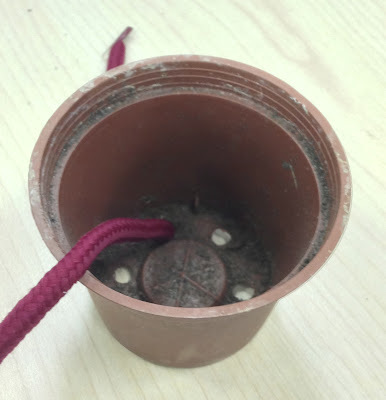 Water will be sucked up through the string into the pot. Putting the paper shredded under soil, than finish 3rd Gen..